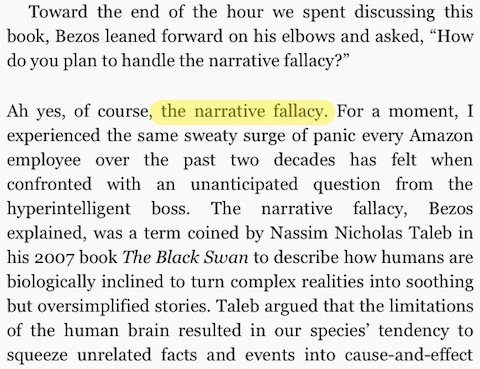 As a final post on Jeff Bezos and Amazon this morning, here’s a quote on something called the narrative fallacy. That term comes from the book, The Black Swan: The Impact of the Highly Improbable. This image (and quote) comes from the book, The Everything Store: Jeff Bezos and the Age of Amazon.